The goal of providing discerning audiences with new sensations for their enjoyment frequently works out better in the high-level artistic concept than the down-to-earth actual result on concert day. An eclectic program of traditional works, lesser-known gems and seldom-heard—yet fresh—music for clarinet (Paul Pacanowski) and piano (Anna Dynarowska) made an intriguing mix on their own for the first half of this “Niagara Pops” presentation. The artist-inspired (Richard Mühlfeld famously drawing the composer out of retirement in Pied Piper fashion on hearing his dulcet tone) Brahms sonata was too large a task for both players who, nonetheless, made a valiant attempt at unlocking the inner beauty of this autumnal creation. Pacanowski’s light, flexible reed simply couldn’t provide the variety of hues needed to plumb the depths; a less-than-daring breath plan truncated too many of the luxuriously-long, loving phrases. 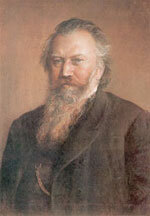 Dynarowska was frequently out of her depth with the extremely challenging piano part (no mere accompaniment ever flowed from Brahms’ pen) which is notoriously unforgiving. Francis Poulenc’s zesty, succinct essay turned out much better, but too many of the myriad details remained for another day; the “rewriting” of key notes (including the last utterance from the clarinet) would have certainly surprised the under-valued composer. The clear highlight from this trio of tests was Pacanowski’s own Sonatina. The “Allegretto” was immediately awash in liquid blues, before carefully balanced energy gave way to some frantic flurries that kept both performers and the ear happily engaged. A well-crafted pastiche of melancholic colours and moods graced the “Lento” (a wee touch of Satie as welcome as it was effective). The closing “Allegro”—replete with echoes of Poulenc and Stravinsky—moved steadily forward with an underlying sense of fun that was deservedly rewarded with exuberant applause. After the break, Pacanowski’s shoe was most certainly on the other foot. With an obvious talent for the black-and-whites (as witness his keyboard introductions to the reed-fare that followed) and a far more secure/relaxed approach both to his clarinet and tenor saxophone, the jazz portion of the program was a spectacular turnaround from the “legit” segment which came before. Mark Dunn laid down a solid bass line that enthused the listeners with his chording and solo turns. Drummer Mike McClelland initially overpowered his two colleagues but seemed well on the way to toning down his considerable skills even after the second chart (other commitments left your reporter reluctantly bidding adieu after “Paquito’s “Samba” and—life imitating art—“Just One of Those Things”). Left to his own inventive improvisation, Pacanowski truly proved just what a consummate performer he is, peppering the ear with free-flying riffs, garnishing the tunes with flair and panache. Here’s to more of that on both sides of intermission and less pushing the artistic envelope further than it ought to go.